On this day they celebrate the birthday of Emperor Showa, born on April 29, 1901 and died in 1989. This holiday was instituted in 1989 and celebrated on April 29 until 2007, when it was moved to May 4. Before 1989, this day was the same a holiday, because of a law according to which a day sandwiched between two national holidays is also a national holiday. A holiday dedicated to children (both male and female), the only of the Golden Week which has a long tradition. Before being established in 1948, it was already celebrated as the Tango no Sekku (Boys Day) for almost 1500 years (while on March 3 it was and is still celebrated the Hinamatsuri, dedicated to girls). 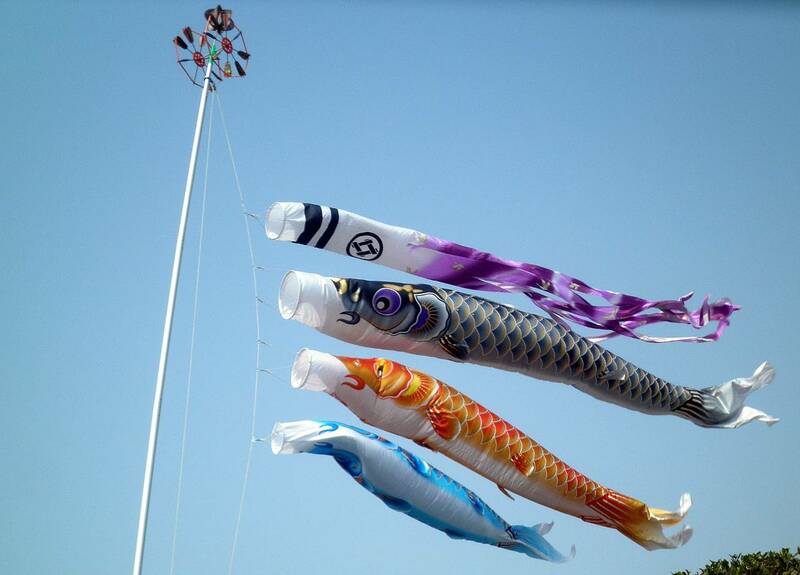 The day before this holiday, it is a tradition among families to hang flags in the shape of carp (koinobori) outside the house, one for each child. May 1, the International Workers' Day, is not officially recognized as a national holiday, but is however recognized by many companies. During this time of year, many companies close for 7 or 10 days, and this is often the longest holiday period for many Japanese workers, who take the opportunity to travel, within Japan and abroad. If you are in Japan in this period, the prices of flights and hotels skyrocket (it is high season), and you might also have trouble to find train tickets or hotel rooms, as well as finding long queues to visit the most famous places . I definitely don't recommend to visit Japan during the Golden Week.